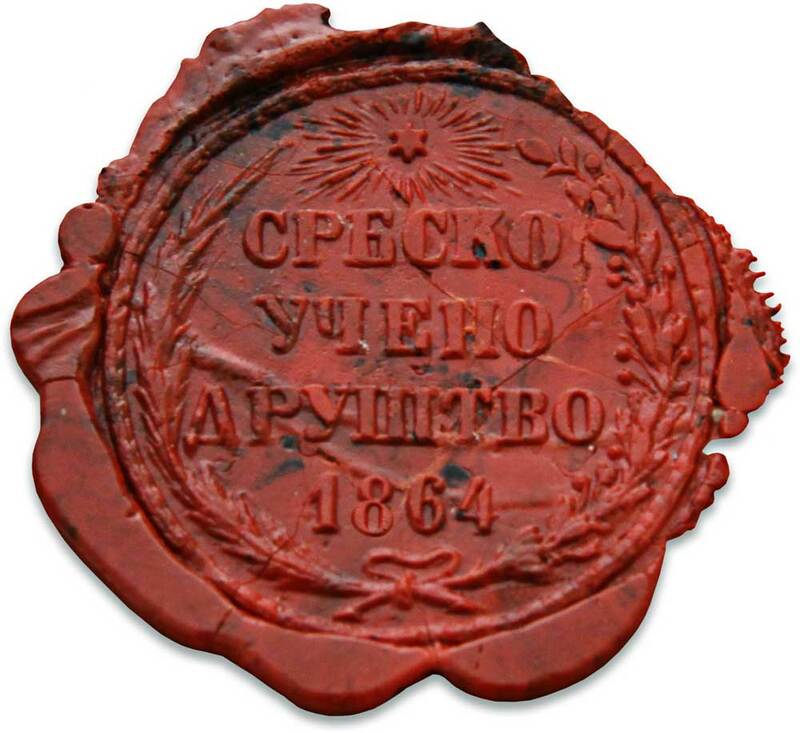 The work of the Society of Serbian Letters was temporarily discontinued on January 27, 1864, only to resume already in late July of the same year, when the institution was renamed Serbian Learned Society (SLS). Every member of the former society was entitled to remain in his membership category, albeit full members had the option to notify the minister within a month which section they wanted to work in. If they failed to notify him, they would be classified as honorary members. According to the records, 35 out of a total of 66 members of the Serbian Society of Letters at the time of the suspension of work notified the minister. The Serbian Learned Society was divided into four sections: 1. moral, linguistic and literary sciences; 2. natural and mathematical sciences; 3. historical and state-related sciences; and 4. skills, which referred to art. A section could not have fewer than five or more than twenty members. The journal of the Society of Serbian Letters retained the name Glasnik, with volume numeration clearly indicating that it continued where the former journal stopped. The last volume of Glasnik Srpskog učenog društva was number 75. However, the Society’s total publication output was larger, as 15 special edition books need to be added to it. A substantial number of historical and geographical treatises were published, along with works describing antiquities and sites, and there were also natural science treatises, which were not translations or popular works, but rather resulted from observations and experiments, that is from attempts to solve specific problems. The key events in the history of Serbia in the latter part of the nineteenth century influenced the development of the SLS, reviving some of the earlier disputes and divisions and changing the general social and economic conditions. Since the Society came into conflict with the Ministry of Education, its work was suspended, and the Royal Academy was established regardless of the SLS by a small number of the latter’s members.